In Imager���s Intrigue, Rhenn has come into his own. He has a wife and a young child, and a solid career as an imager. But he has made more than one enemy during his journey from apprentice painter to master imager, and even his great powers won’t allow him to escape his past. I believe this was a fitting end to the part of the portfolio. It wrapped up many of the storylines for Rhenn, but left opening for the adventure to continue. 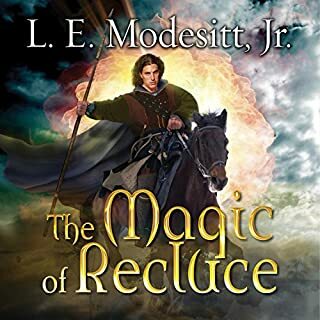 My understanding is that Modesitt is writing a prequel to first three books, I look forward to those books, and hope there are sequels to this storyline. A very enjoyable world that he has created. This tale involves a deadly and more intricate dance for our hero with those he loves and those who would destroy what he loves. It is immensely satisfying. 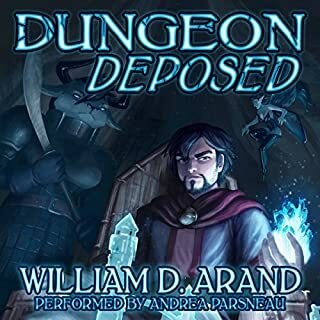 You will enjoy this listen, especially if you have the first two novels. It is missing something, however; a satisfying climax. If that is enough to deter you, you will miss out, as the novel is a gem. Even with the non-explosive climax it is better than either two initial books. I had high hopes for this one after enjoying the previous two. It is worth a credit especially if you enjoyed the others. This book just did not have enough conflict. The arc fell pretty flat and the characters did not really evolve at all. That might be kind of harsh, but looking back it feels like the storyline did not take any real jumps forward. Modesitt ran out of steam for this one. 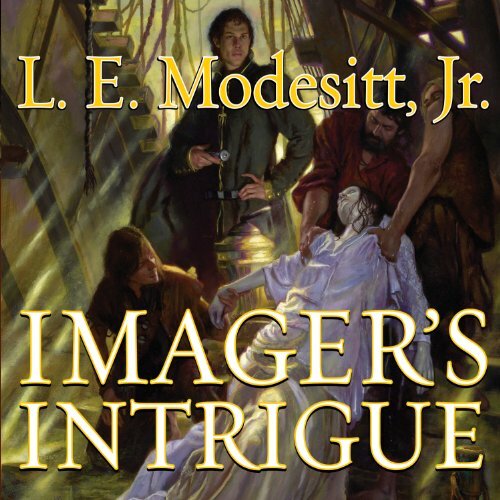 What did you like best about Imager's Intrigue? What did you like least? 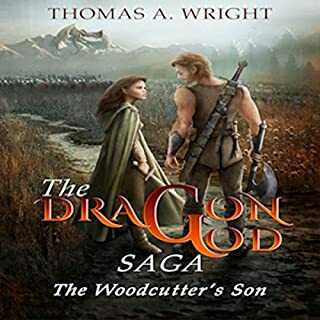 I like the character, and the concept, but not this story which seems to show the author being burned out and trying very hard to produce something as a sequel. 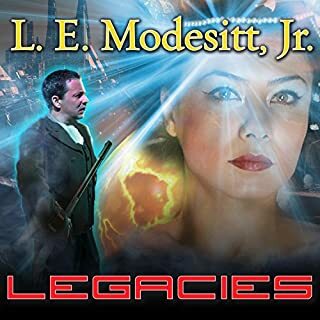 Would you ever listen to anything by L. E. Modesitt, Jr. again? Did Imager's Intrigue inspire you to do anything? This episode was barely entertaning when compared to the first 2 episodes. I have no intention to go on to book 4. This is definitely sub standard for Modesitt. He has a had time handling so many plot lines with any believability. Really one of his worst. can tell a good story and always has content. Not sure if hes just a big enough name not to have to buckle to the rest of the industries trip into the gutter but makes it easy to pick up his books and listen. I have listened to the whole series multiple times. I love it! This book is one of my faves! the ending was good and keeps one engaged. I would recommend the series to anyone. I have read most Modesitt books and enjoy them but this one was phoned in. 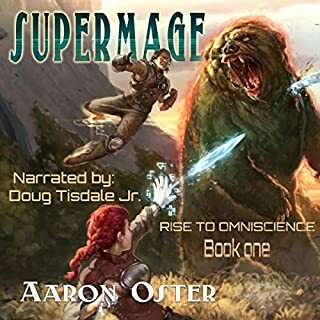 Would you listen to Imager's Intrigue again? Why? Yes and I have listened too it several times. It's a great end to Rhenn's story. 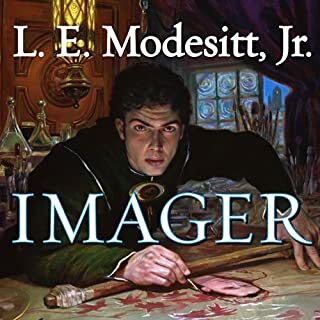 What other book might you compare Imager's Intrigue to, and why? This is a unique series and creative end to the first three books. I enjoyed listening to this reader. Yes, but I also wanted to take my time to enjoy the book.